Angered by the injustice, Adam and his lovely cousin Julia Bell agree to assist Thoreau in investigating. Adam notes in his new friend all the makings of a great detective--an encyclopedic knowledge of the natural world, uncanny observational skills, a sharp instinct for detecting human foibles. As the case progresses, the mysteries only deepen and there is no mistaking the brutal slaying of a womanizing army captain as anything other than the coldest murder. Journeying from their tranquil village to Boston's most disreputable district, they gradually uncover the monstrous truth--even while a vicious killer prepares to end their inquiry for good. 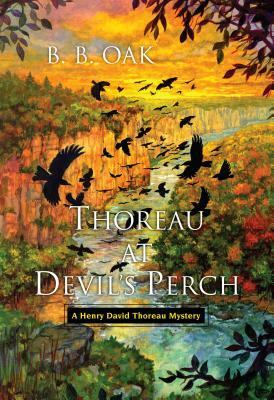 . .
Advance Praise For Thoreau At Devil's Perch!